Cryptography is an important information security tool. Encryption technique can protect the information and communication from unauthorized users. 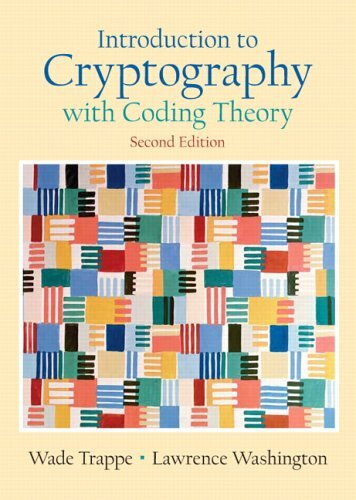 If you want to learn more about cryptography you can read books. It provides a logical and systematic planning step to accomplish a task. Here you will get some books of the best cryptography book. This book is about the cryptography that will stop major governments from reading your files. It includes details that allow understanding of the essence of the protocols and delivers complex ideas very clearly. It contains the technique of enciphering and deciphering messages to maintain the privacy of computer data. You know every detail about how programmers and electronic communications professionals can use cryptography. It describes lots of new algorithms including GOST, Blowfish, RC4, and A5, gives practical knowledge on how to implement them in cryptographic software, information on how PGP works, more information on key management and modes of operation, and new source code. This book gives you the tools you need to protect your own privacy. Bruce Schneier makes it interesting by providing code for algorithms. Many people with a programming background may find this to be a better way to learn cryptography. You will get the idea of how to keep the text readable without sacrificing accuracy. You will learn how long a key should be in order to be secure, how to generate keys, how to store keys, and how to dispose of keys. You will also learn how to choose, implement, and use algorithms. It covers a bunch of algorithms, some of which are more secure than DES. This book also shows some real world of cryptography. 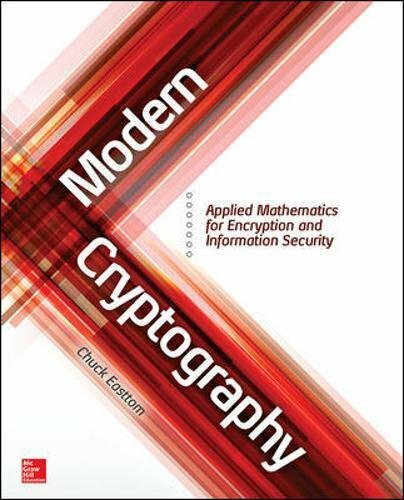 Readers who have some basic mathematics knowledge, computer software skills and are interested in a solid understanding of modern cryptography, can use this textbook as a reference book. This book has many unique features including crypto algorithms that are used in modern real-world applications, software, and hardware implementation for every algorithm, important cryptographic protocols, modes of operation, security services and key establishment techniques. Find many ideas for course projects, links to open-source software, test vectors. You will get much more information on contemporary cryptography. Links to video lectures are provided. This book includes recent topics such as lightweight ciphers for RFIDs and mobile devices and current key-length recommendations. 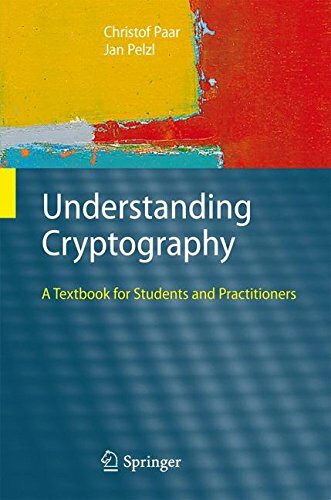 The textbook introduces various areas of cryptography to undergraduate and graduate students in mathematics and computer science and provides an in-depth analysis of cryptographic protocols from the classical introductory protocols. 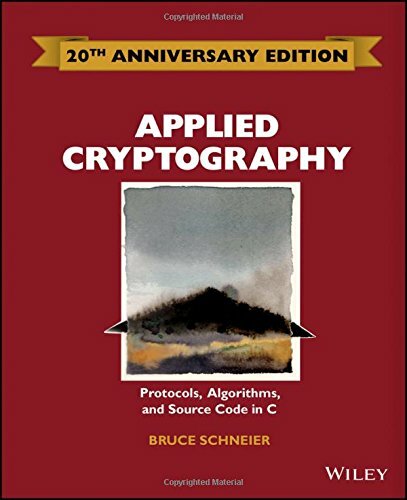 It's an indispensable textbook for cryptography teaching which covers classical cryptosystems, Shannon's approach to perfect secrecy, block ciphers, hash functions, public-key cryptography, signature schemes, pseudo-random number generators, key distribution and entity authentication. This book contains RSA cryptosystem together with a number-theoretic topic such as primality testing and factoring. Digital Signature algorithm scheme includes treatments of special types of signature scheme such as an undeniable and fail-stop signature. You will know about the special purpose "zero-knowledge" schemes. Multicast security including broadcast encryption and copyright protection. 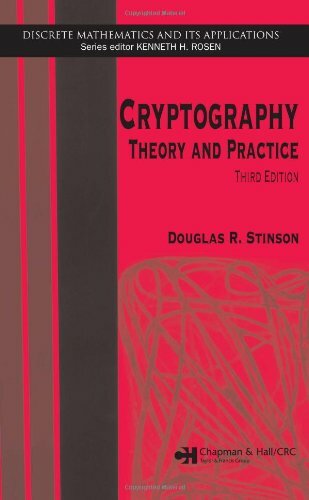 This is an excellent reference textbook for cryptography students and teachers that presents modern cryptography in a way that anyone can understand easily. It does present in-depth math analysis of various ciphers and could be by far the most comprehensive introductory level cryptography textbook. Algorithms, encryption methods, mathematical theorems are nicely and elegantly explained and no previous knowledge is necessary for any of the fields. 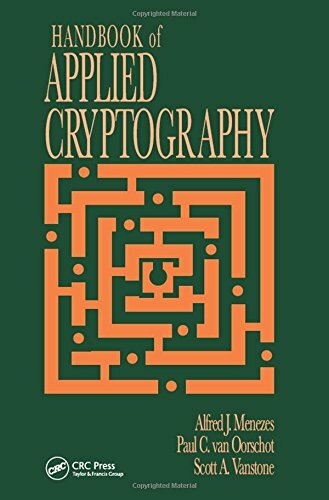 This book provides a detailed explanation of AES, which has replaced Feistel-based ciphers (DES) as the standard block cipher algorithm. You can acquire knowledge about the lattice method, Legendre, and Jacobi symbols and continued fractions. You will get expanded discussions of block ciphers, hash functions, and multi-collisions, plus additional attacks on RSA to make readers aware of the strengths and shortcomings of this popular scheme. This books also provides more details on RSA and AES. 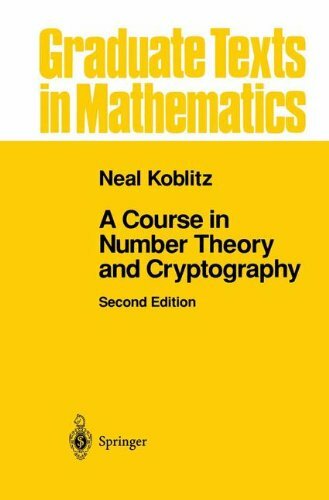 Fresh grad students discovering their love for cryptography by reading this excellent book that provides algorithms and number theory. This book provides a self-contained course for the beginning student because each of the topics is introduced and developed in sufficient detail. This book contains Discrete Logarithms and Diffie-Hellman such as the ElGamal public key cryptosystem, collision algorithm for the DLP, Pohlig-Hellman algorithm. You will get an idea about Elliptic Curves, Lattices, and Cryptography. This is a fairly strong book on crypto, with heavy detail on the math involved. The pseudocode presented after each algorithm will no doubt be extremely helpful to those readers who are responsible for implementing them in real-world applications of cryptography. Overall the book is orderly organized into theory, definitions, examples, facts, and algorithm sections that are set apart in the text for more manageable reading. This book includes Mathematical background such as Probability theory, Information theory, Complexity theory, Number theory, Abstract algebra and Finite fields. Contains Public-key parameters, Pseudorandom bits, and sequences. More information about stream ciphers, block ciphers, public-key encryption, hash functions and data integrity. The most accessible, clear and useful book on encryption which provides enough information for readers. The book also gives some insight into why and how we need these applications in our modern world. It shows how to use ciphers and hashes, generates random keys, handles VPN and WiFi security, and encrypt VoIP, Email, and Web communications. This book provides a comprehensive overview of cryptography and practical instruction on the latest encryption method. You will get the explanation of real-world applications for cryptography along with detailed implementation instructions. Also explains complex formulas and equations and makes the math easy. How to encrypt Web traffic using SSL/TLS. Provide VPN, WiFi, and SSH communications and explore government, military, and intelligence agency applications. Although this book is labeled as a "graduate text in mathematics", it is an outstanding introduction to cryptographic techniques and algorithms. 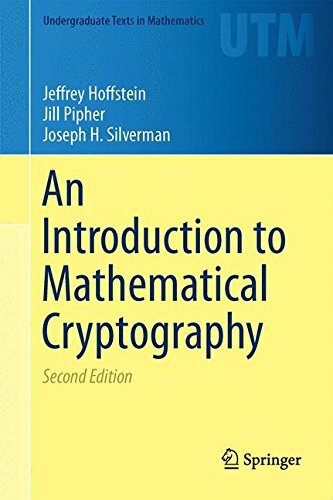 If you like math but don't have experience with fundamentals of cryptography then this is the book to get to quickly get yourself up to speed. The book covers a variety of topics - public-key encryption, primality testing, factoring, and cryptographic protocols. It introduces zero-knowledge proofs and blind transfer, techniques that offer real hope of personal privacy in a world where data transfer is mandatory. This book follows the definition-theorem-proof-example style and has many exercises with answers. You will get a careful treatment of the _exact_ bit complexity of operations on numbers, such as +,-,*,/, modular powering, and gcd. Teaches the reader how to make his own estimation. Contains a concise introduction to modern factoring algorithms. With the knowledge of primality testing, it develops the notion of a "B-smooth" number and then shows how this leads to algorithms which use factor bases. 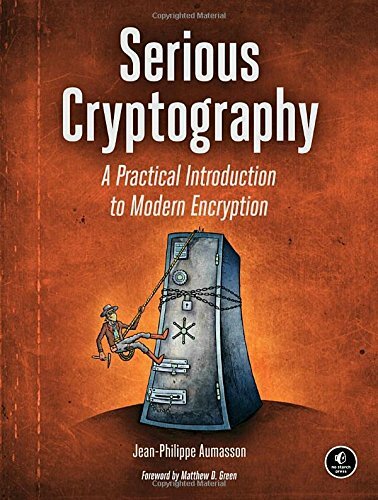 Serious Cryptography is a very well written/structured book for people with some crypto background that covers a broad range of subjects directly or indirectly related to Cryptography. Aumasson covers all the key areas of crypto, including random numbers, block and stream ciphers, hash function, and much more. Classic protocols from RSA, Diffie-Hellman, to TLS and more are discussed. It is also balanced in terms of theory and practice which makes it fun to read. You’ll learn about authenticated encryption, secure randomness, and public-key techniques such as RSA and elliptic curve cryptography. The book closes with a short chapter on Quantum and Post-Quantum and quantum crypto will revolutionize the world of cryptography when it does. 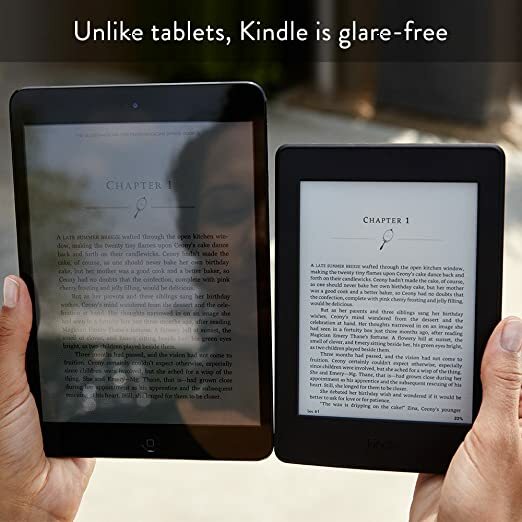 Aumasson brings real-world experience and advice to every chapter.